Quarterly earnings at China’s $46 bln web retailer halved year-on-year, as it pays up for new users. The market is maturing and competition with Alibaba is fierce. JD’s off-piste bets, and its use of non-conventional accounting practices, are adding to the noise. 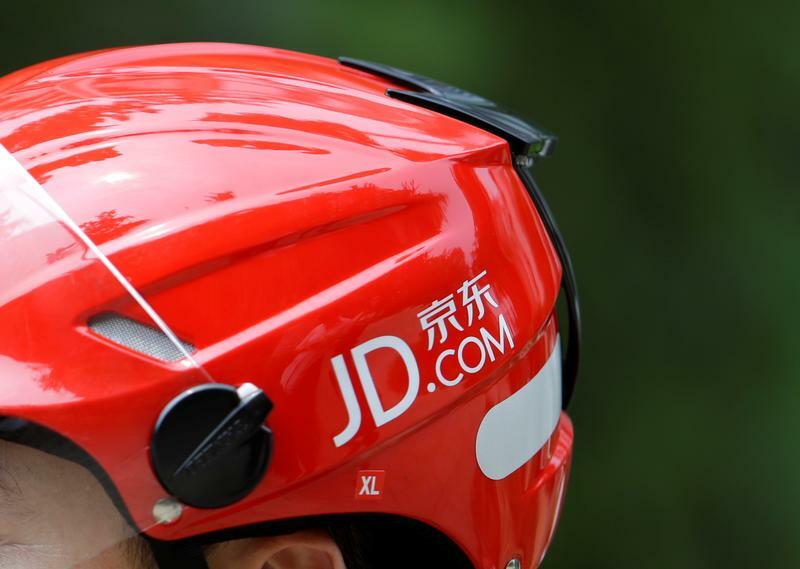 A logo of JD.com is seen on a helmet of a delivery man in Beijing, China June 16, 2014. Picture taken June 16, 2014. Chinese e-commerce group JD.com on Aug. 16 reported revenue in the three months to June of 122 billion yuan ($17.7 billion), up 31 percent from the same period last year. The company reported a net loss of 2.2 billion yuan ($319 million), compared to a loss of 287 million yuan a year earlier. After excluding share-based compensation and one-off gains and losses, adjusted earnings were 478 million yuan, a decrease of 51 percent from the same quarter last year. JD.com's New York-listed shares were down 5.6 percent to $30.55 during pre-market trading on Aug. 16.